Camping becomes an exciting outdoor adventure when these camp chairs come along for the ride. From the backyard to the beach, our cherry and watermelon patterned compact chairs are totally kid-friendly and comfortable. 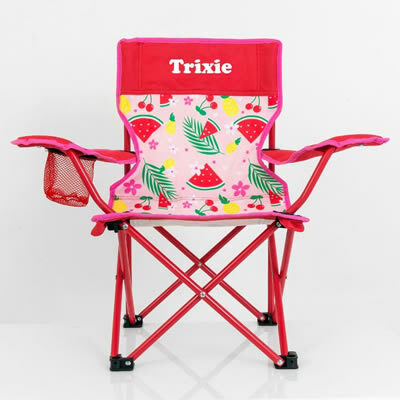 Make your kids feel special with their very own sturdy Trixie Tropical camp chairs complete with mesh pocket for drinks and a portable carry bag. Summer time will never be the same again! DELIVERY: Usually ships 10 working days from processing your order. Please allow the appropriate postal delivery time for your area. Need it faster? 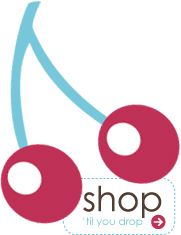 Order a Gift Certificate.